Justin was inspired to leave his BSc (Hons) in Business Studies with Law behind to embark on a career in the education of young minds – a decision that he is yet to feel any regret for! Justin is currently the Head of Kodesh and Deputy Headteacher at Sacks Morasha Jewish Primary School, with previous experience as a general studies teacher and Head of Kodesh at Rosh Pinah Primary School. 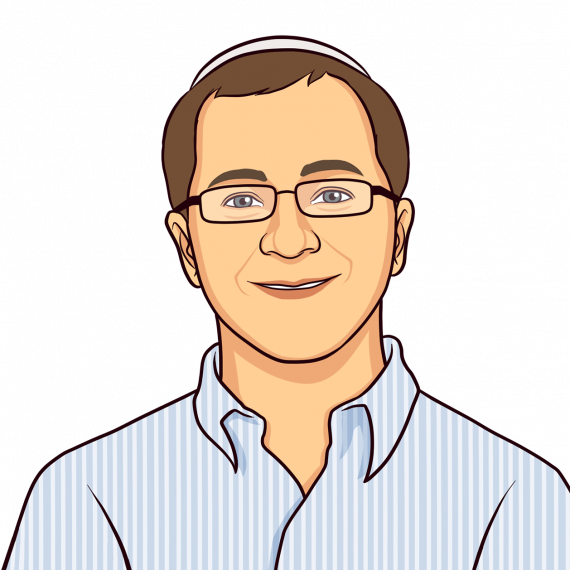 Justin is responsible for ensuring that children understand and learn our Jewish culture and values, and that they not only develop a love for Judaism but embrace the customs and traditions that make Judaism so unique and special. Justin also brings his experiences to his roles as a Pikuach inspector and mentor for the London School of Jewish Studies’ teacher training programmes. With a background in championing the appropriate use of tech in the classroom at his own school, Justin has relished contributing to the development of Jewish Interactive in the UK over the past few years. He has recently been working with a team in his school, Sacks Morasha, to create a SMART Tech policy in response to national concerns of the impact of tech on children’s minds and well-being.